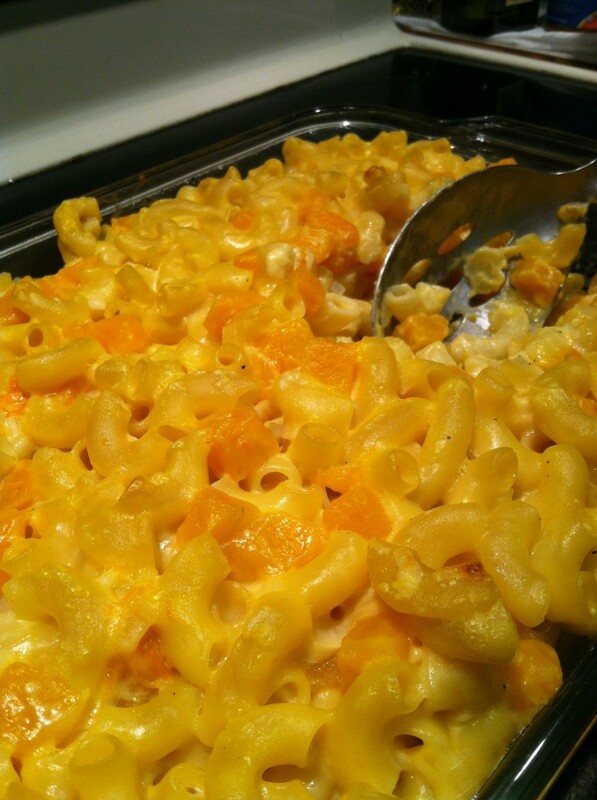 This following recipe is my favorite homemade mac and cheese recipe. The cheese sauce comes out perfectly! It is also a wonderfully easy way to slip root vegetables or winter squash into a kid friendly dish. The above image was from a batch I made with butternut squash. I got the recipe from one of my favorite authors of all time, Andrea Chesman. This is from her book Recipes from the Root Cellar. The only changes I made in my most recent batch, were that I used a small leek instead of the shallot and I didn't put any breadcrumbs on top. Preheat the oven to 350 degrees. Lightly butter a large casserole dish. Bring two large pots of salted water to a boil. Add the macaroni to one pot and cook until al dente. Drain well. Transfer to a large bowl. In the second pot of boiling water, cook the vegetable(s) until fork-tender, about 10 minutes. The vegetables should still hold their shape. Drain well. Transfer to the large bowl. To make the cheese sauce, melt the butter in a medium saucepan over medium heat. Add the shallot and garlic, if using, and saute until limp, about 3 minutes. Stir in the flour to form a smooth paste. Stir in the milk and bring to a boil, stirring to prevent lumps. When the sauce thickens, add the cheese, stirring until melted. Remove from the heat and season with salt and pepper. 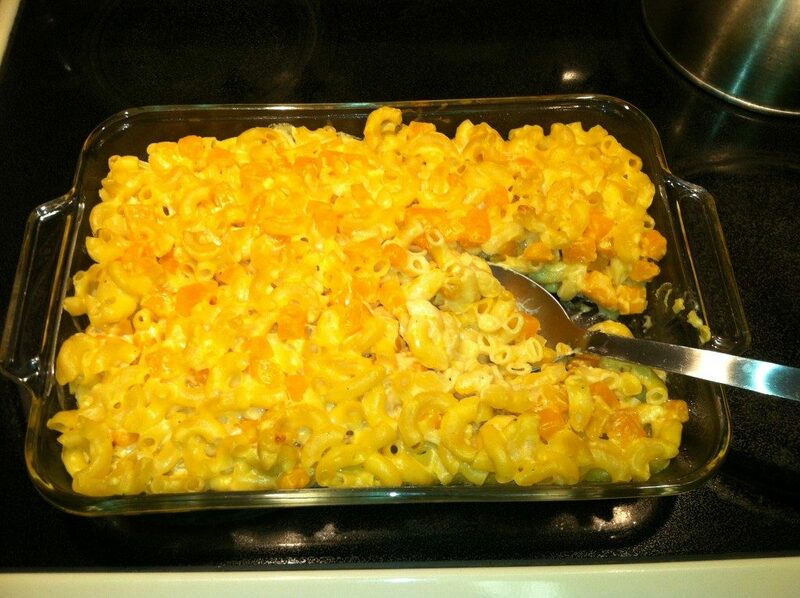 Stir the sauce into the macaroni and vegetable. Taste and adjust the seasonings. Transfer to the buttered casserole dish. Sprinkle the breadcrumbs over the top. Bake for about 30 minutes, until the sauce is bubbly and the breadcrumbs are browned. Serve hot.